What is the right ecommerce platform for me? 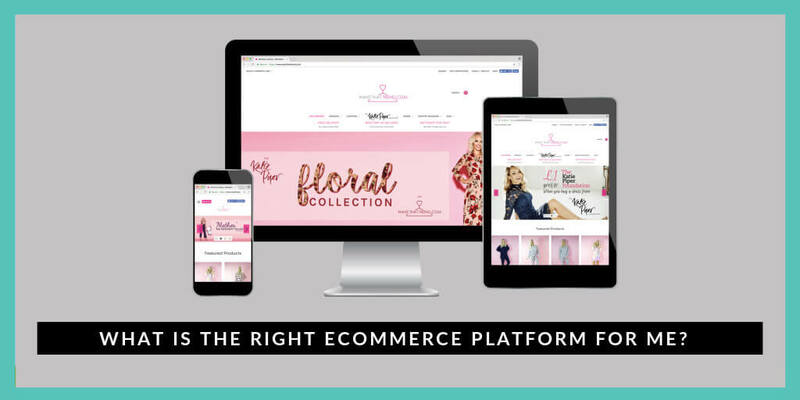 Choosing your ecommerce platform is a big commitment – you not only want to make sure the price point and setup is right for you at this current time, but you also want to make sure your business is going to have the ability to grow and change how you see fit. In such a saturated market, it can be difficult to pinpoint what software your business needs, which is why we’ve analysed 4 of the top ecommerce solutions so that you can see the benefits and downfalls of each. Shopify is a very popular platform of choice with over 400,000 active stores. Shopify has helped a lot of small independent businesses get off the ground, and is generally an easy-to-use, good ecommerce platform. 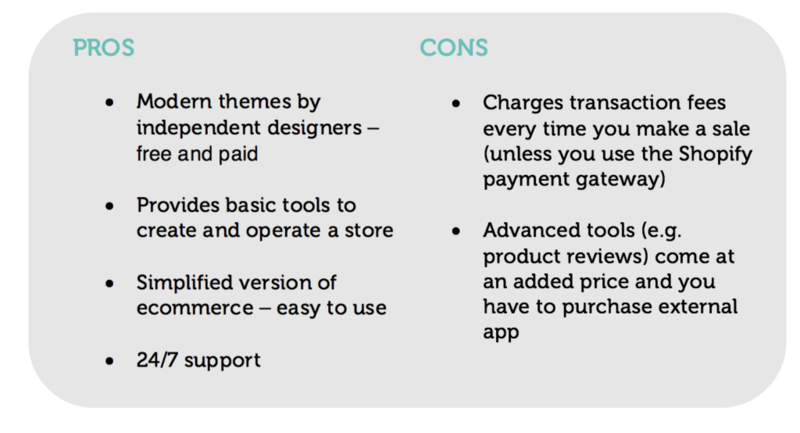 Where Shopify falls behind however, is in its hidden extras. It’s a hobbyist platform unless you’re willing to fork out more cash for the more advanced tools and applications. Magento is another popular platform – particularly for medium to large merchants. It allows for lots of customisation, but this does come at a cost and generally makes the platform more complicated to use. It’s a great platform if you’re willing to pay extra for support, security and developer advice. Volusion is definitely for the more tech savvy. It is easy-to-use in general, but to get your store to the level you most likely desire, you’re going to need a developer every step of the way. Bigcommerce is a great choice, regardless of the size of your business. It’s loaded with features to keep your site modern and updated, and the results speak for themselves. If you want a platform that will help you grow your business in your home country and internationally, and across multiple marketplaces, Bigcommerce is the platform for you. We recommend making use of the free trial options that most platforms offer when considering setting up or replatforming your online store. Our guide is a brief insight into each of the platforms, but always keep in mind how you want your business to grow, and not just where it is right now. For more information on ecommerce, and in particular Bigcommerce, call 5874 on +44 (0)121 773 5978, or email us at info@5874.co.uk for more info.